AEG KME761000M A succulent roast chicken, a creamy Dauphinoise, a rich beef casserole all achieved in just half the time a conventional oven would require. The CombiQuick oven is the faster way to exceptional flavors and exciting dishes, combining hot air fan cooking with the speed of a microwave to give you the mouthwatering finish and textures of a conventional oven in one compact space. From now on, time is no longer an obstacle to taste. 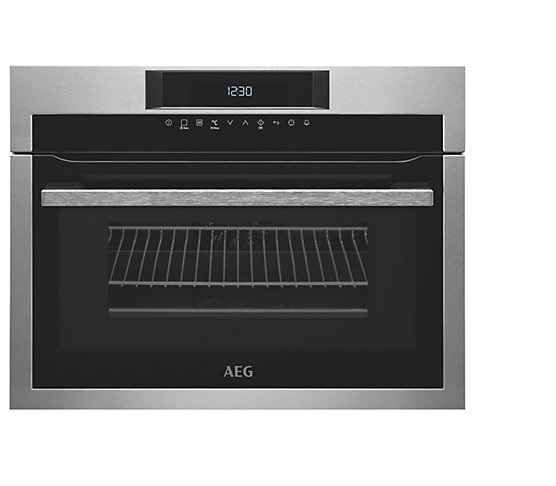 The AEG KME761000M Oven was added to the Ovens category in April 2018. The lowest price GetPrice has found for the AEG KME761000M Oven in Australia is $1,499.00 from ComplexKitchen.